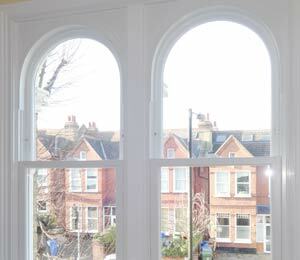 Does your period property have Arched Heads that need revamping back to their original look? Available on all our products, Bespoke Windows offers a variety of added features including Arched Head Inserts, Sash Horns and even Georgian Bars if you are going for the more classic look. We can template and co-ordinate any shape and then reproduce it to make new windows more in keeping than any other method. Our team of fully qualified and trained experts have a fine knowledge on how to get your arches looking super smooth with no visible joints. Taking into consideration that arched heads on windows and doors have been one of the longest standing designs of the past three millennia, arched heads have also appeared consistently as added strength and design related features to all kinds of structures ranging from small to larger constructions. We can design your windows and/or doors to ensure they match the style of your home by providing a wide range of colour options and glazing designs for you to choose from. 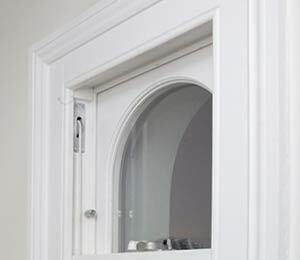 For information on our Casement window range send us a message or call us directly on 020 8693 1199. A member of our team will answer any questions you have.